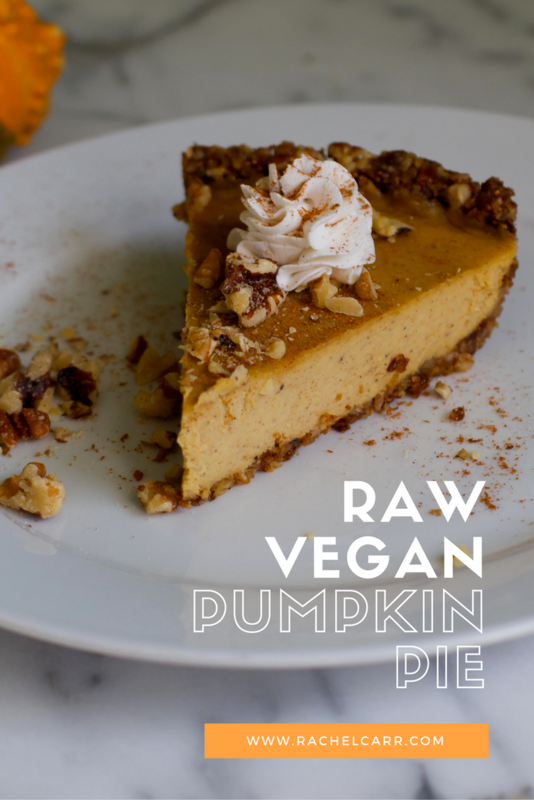 If you are looking for a healthy dessert option this holiday season, look no further. 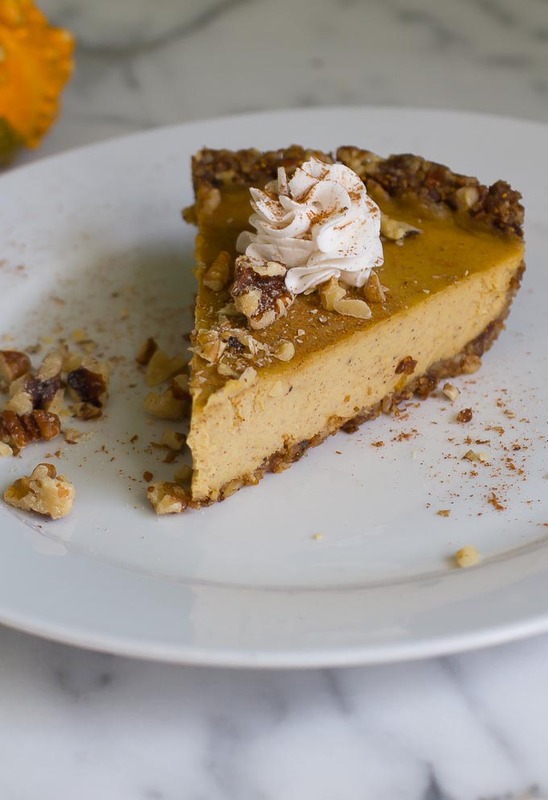 This raw vegan pumpkin pie is made entirely from healthy, plant based ingredients-raw pumpkin, figs and healthy fats like organic coconut oil and walnuts. 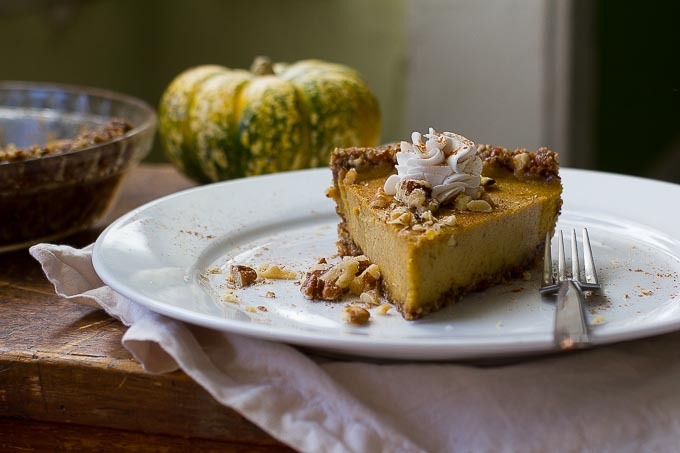 Believe me no one will know that this isn’t a cooked pumpkin pie-the texture and flavor are spot on. First, though, you want to start with the pumpkin pie spice blend. I recently took a trip to Little India, here in Los Angeles where I live ad was so inspired by all the spices in the market. I stocked up because I love curry and I knew I would want to be making my own spice blends for the holidays! 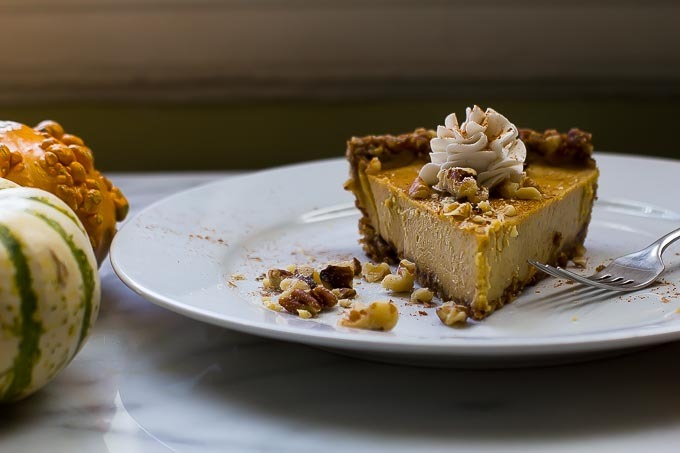 There are many ways to make pumpkin pie spice but this recipe is simple and full of flavor! To really make it special, grind your own from whole spices. This pie is so easy to make. No baking, no rolling out a crust. BUT you do have to peel a pumpkin! I recommend using a good peeler and peeling it whole, and then open it to remove the seeds and chop it into pieces. It will go much faster and be easier to handle. Also, this pie needs time to set up before it can be served. You can get it to set up faster by placing it in the freezer if necessary and it should be ready in an hour. You can serve it directly out of the freezer! To top it all off, you can make this easy coconut whipped cream. Coconut cream is made by putting a can of full fat coconut milk in the refrigerator and allow it to chill completely. I really like Thai Kitchen brand. Open the can and scoop out the heavy, solid cream and discard the water. You can whip this by hand or in a stand mixer, it will turn out equally well. I have spiced my whipped cream with rum and ginger and sweetened to taste. The market where I shop has figs, but they’re not in the greatest condition. 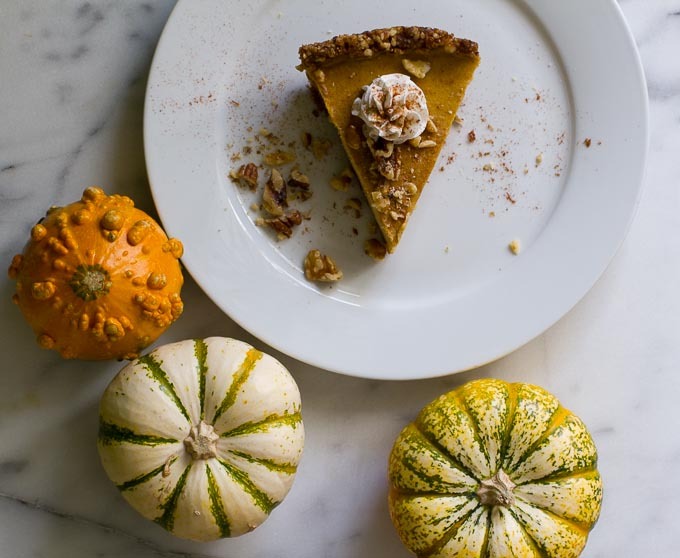 Can dried figs be substituted in the pie crust and if so, how long should they be soaked? Perfect recipe! It was sooo good! Thank you!